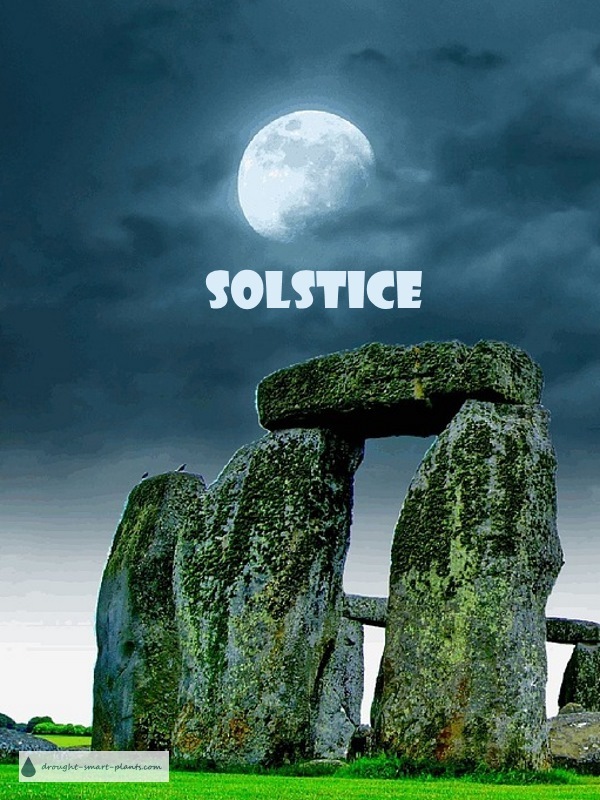 Those long days, culminating in the Solstice - it's the shortest night of the year, and even those of us that aren't druids or pagans can celebrate that. In days gone by, this celestial event was magical and mysterious, something to strike awe into the hearts of the average person. Even plants can be affected by the length of the daylight, producing lots of fruit or vegetables, just because of the long days. When I lived in Dawson Creek, I was amazed at how fast the potatoes and cabbages grew in the long hours of daylight. Even though the temperatures plummeted at night, sometimes to below freezing, the vegetables would pick up and take off without a care the next day. I got wise in the ways of the garden there; covering the delicate types of plants with Reemay or even old curtains was enough to protect them from the two or three degrees of frost. Now I don't generally have to worry about frost where I garden. Heat, drought and vermin are the main damaging culprits. 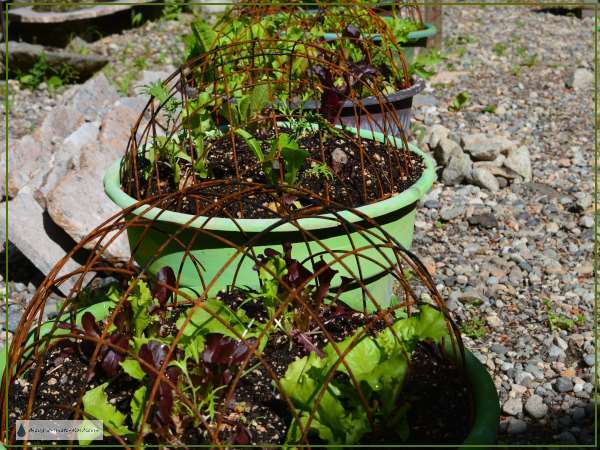 I have a tiny vegetable garden in a raised bed, and pots of lettuce, spinach and mesclun and every thing is covered with a bird cage or other wire cover. When the weather is hot, they are domed with an old hanging basket, which is covered with row cover for shade. The soil for the containers is cooked to kill off any pathogens, and dolomite lime is added to buffer the pH. By the solstice, I've been cutting salad greens for a couple of months, sometimes letting them get a little bigger, other times cutting them with scissors as baby greens. If they start to look a little worn out, a watering or two with compost tea is the best treatment. They recover in a few weeks, off and running again. 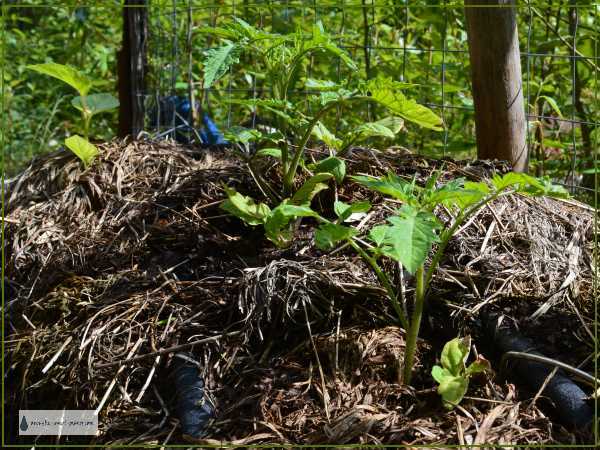 In the hay bale garden, tomato plants are starting to get established and take off. In time they'll be trellised on the fence wire with a twig or two. The sad part about the summer solstice is that it's downhill from here; all the days get shorter after the full moon in June.